As many of you know Iron Fist has taken a heavy beating from critics over its casting of a white actor in a white role. 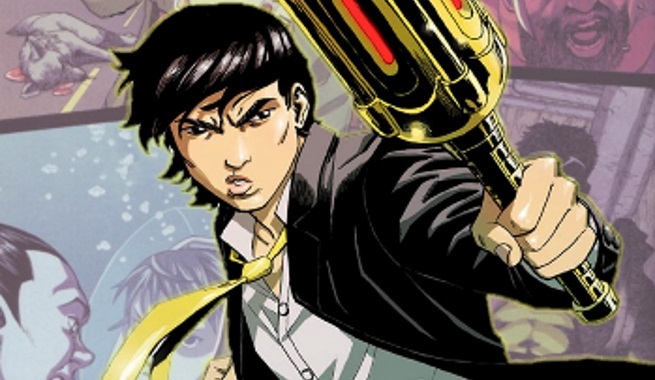 This got me thinking are there any great asian heroes out there that the MCU could use? Unfortunately there are few and many are X-Men Characters, that is why all but one of them have been left off this list. Marvel needs more diversity and I feel that these 5 could be the answer to that problem. Yes Marvel could recast some characters with ones of different ethnicity but I argue why not elevate these 5 up and show the world how great they are, while maybe trying to create a few more. Who are they? 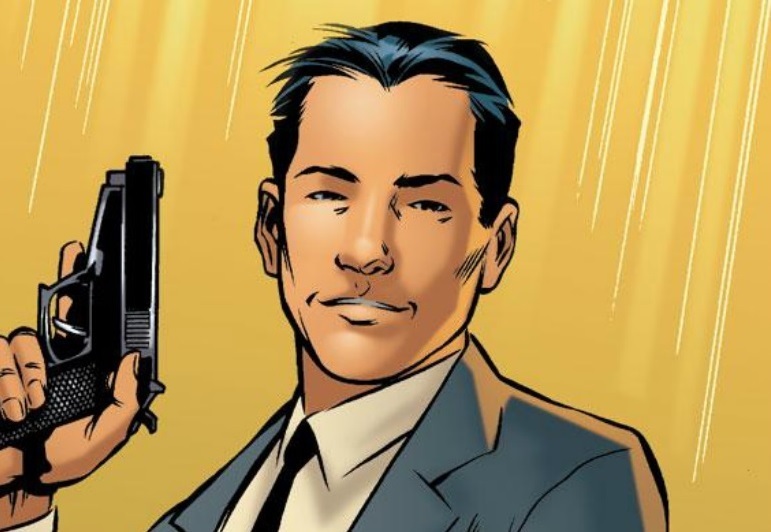 : Devilishly handsome secret agent with a playful streak, who has been de-aged into a younger body with none of his memories, Jimmy could easily lead an Agents of Atlas series. What are their powers/abilities? : The guy is a freaking secret agent I am fairly certain you can all assume what his skill set is like. How could they fit into the MCU? : Perhaps this older leader of Shield finds himself in a younger body and looking to build up his own organisation to help replace Shield who still have yet to rebuild their full strength, in steps The Agents of Atlas. Agents of Atlas consist of a Gorilla Man, a very early robot, Marvel Boy and the Goddess of Love herself. It would be a campy but fun series that does not take itself too seriously. Who could play them? : I am thinking either Daniel Dae Kim or John Cho, either actor could bring comedy, charm and looks to the role. Who are they? : She played second fiddle to Danny Rand in Iron Fist but on more than one occasion she showed us that she could hold her own and even outshine Mr Rand. An ex-member of the villainous Hand she turned friend and confident to Danny Rand, throughout the Iron Fist series, eventually falling in Love with him and journeying with him to his second home. What are their powers/abilities? : A master of several martial arts including Japanese Swordplay and someone who would not hesitate twice when it came to killing someone this pretty face hides a deadly warrior. How could they fit into the MCU? : With Jessica Henwick’s performance in Iron Fist the character has already been cemented as a character that the fans want to see more of. I think a series could be viable perhaps a cross over with Misty Knight as Colleen tracks down one of her missing students, it could work more as a gritty missing persons story line. Who could play them? No point changing what already works. Who are they? : The Defacto Gothic leader of the Runaways, a group of yeenagers who discovered that their parents where super villains. What are their powers/abilities? : Magic manipulation via the Staff of One. The Staff, however, comes with two limitations; first, and more importantly, Nico cannot cast the same spell twice, or the spell will misfire and a random effect will occur; for example, the second time she tried to cast “Freeze,” she produced pelicans. As well as her staff Nico is a proficient Magic user, even once being considered for the role of Sorcerer Supreme. How could they fit into the MCU? 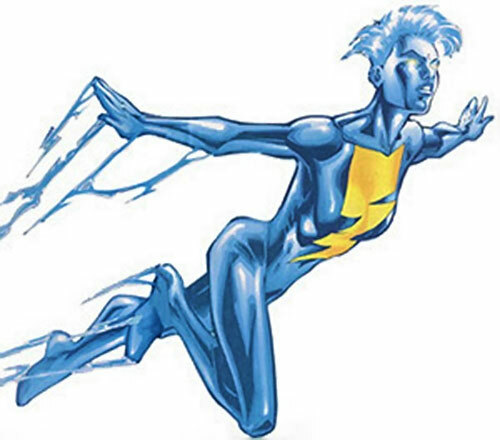 : With a Runaway’s series already in production its not looking like it will cross into the main MCU, sad face indeed, but maybe she could have an altered background and work as an apprentice to Dr Strange, or in a short stand alone direct to TV film have her as an agent of Dr Strange. Who could play them? : I am well aware there is already a Runaway’s show in production but until its out its not canon. Call my crazy but Suzuka Nakamoto, ethnically she is perfect for the role, she is not too far off the correct age and she can pull off the Goth look without looking too outlandish. All we need is to see if the Baby Metal front women can speak english and act. Who are they? : The only X-Man I will be putting on this list, simply because I feel he is a big enough character that he could be used as an Inhuman or some other sort of mutation and fit well into the main franchise. He is a fire based mutant and one of the most under used X-Men characters, perhaps Marvel could get the rights to this guy from Fox. What are their powers/abilities? : Sunfire is a mutant with the ability to absorb solar radiation, and convert it to ionize matter into a fiery plasma state which bursts into flame when exposed to oxygen. Referring to his plasma output as “solar fire”, he can release this energy through his hands as blasts of searing heat, deadly radiation, explosive concussive force, or simple flames. By ionizing the air around him, he can surround himself with an aura of heat intense enough to melt steel, or fly by focusing his aura downwards in a tight stream of ionized gas to propel him though the air like a rocket. Sunfire can see heat, by shifting his vision from visible light to infrared. How could they fit into the MCU? : Sunfire could be Japans answer to the Avengers, or perhaps they could use him in animated form and have him be the returned version of Hiro’s brother in Big Hero 6’s untitled sequel. Either way i imagine him as someone yet to full control his powers who plays a pivital role at the end of the film. Who Could Play them? : Remy Hii, If you have not seen Marc Polo then you wont get it but this dude eludes regal playing the Son of the Great Khan not only that he is a skilled and deadly warrior who commands the respect of his men, Remy could easily translate this into playing Sunfire, the sometimes obnoxious mutant powerhouse. Who are they? : Left for dead after a major battle she ends up being kidnapped by Armin Zola and experimented on to the point where she mutated into her current form. Escaping from him she sought help from a group of so called heroes, who where really villains in disguise, she would convince them to stay as heroes and helped push them towards good. Who are they? : The once side kick of the incredible hulk, who at one point would go on a quest with several gods and eventually become the newest Hulk, Amadeus is a fav favourite character and one marvel tried to use before in a very awful way, hopefully they could fix that with a new and more accurate take on him. What are their powers/abilities? : Amadeus is one of the smartest characters in the Marvel universe up there with Tony Stark and Reed Richards not only that but he is the latest man to become the Hulk, so there is a lot of potential for him. How could they fit into the MCU? : The perfect way to introduce Amadeus Cho would be through another Hulk movie then let him spin off and go on an amazing adventure of his own. As for the hulk movie imagine something between the old 1970’s Tv series, the 1990’s cartoon series and the new Logan film. something that is not action heavy but more thought provoking where we can see the Hulk through Amadeus’s eyes. 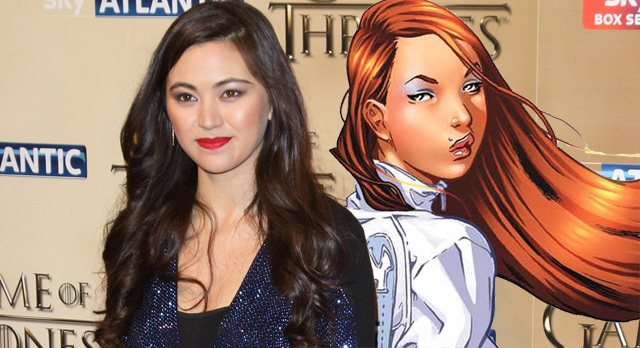 Also with Dr Helen Cho appearing in the Avengers perhaps she could be a relative of Amadeus and help connect him to the main group. Who could play them? 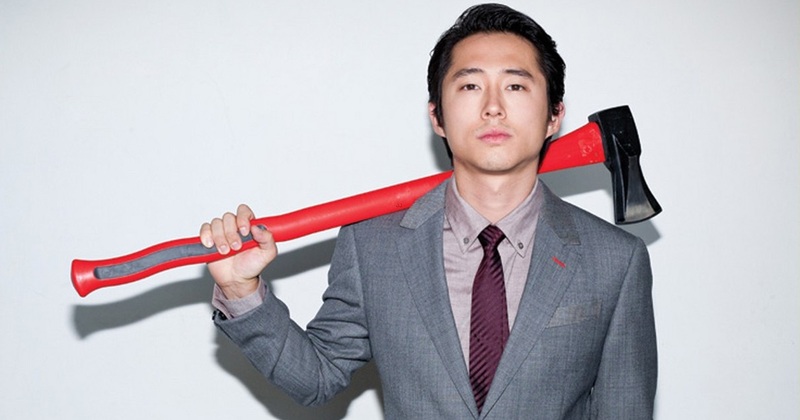 : Only one name comes to mind for this and it has to be Steven Yeun, I think he could help solidify the character and bring out his best aspects. In the end there is not enough diversity in the Marvel cinematic or comic universe, but introducing these characters is a good start. I will say this X-Men seems to have the best level of diversity so my one question is, Fox what’s holding you up?